A low carb chicken casserole is perfect when you have people in your family who either like the white or the dark meat. In my house, I love the white meat while hubby likes the dark meat. Match made in Heaven when you think of it! He thinks the white meat is dry and pasty. I think it tastes delicate and sweet. To each his own! In a casserole of course, everything stays moist so it doesn't matter if the dish is made up of different chicken parts or if it's solely made up of one or the other. The flavors mesh wonderfully to enhance all cuts. Another reason I love making chicken casseroles is that it's typically very economical. The breast is an expensive cut but you can stretch it a lot when it's in a pot full of other stuff. I'm all about saving moolah! 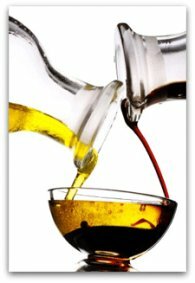 Making big batches of food is a great way for a person following a healthy low carb way of eating to stay on plan. 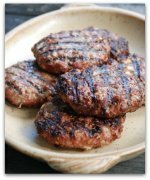 Simply measure out portions and freeze. It's a perfect way to bring wholesome delicious meals to work or to have on hand when you're in a mad rush. And aren't we all in a mad rush? A great tip to further help with keeping things economical is to purchase whole chickens when they're on sale. Cut them up into wings, thighs, drumsticks and breasts. Then freeze in individual freezer bags until you're ready to use the pieces. Some chicken casserole recipes call for boneless or bone in pieces. It's cheaper to de-bone chicken meat yourself. It's not hard to do but you do need a very sharp de-boning knife to get the job done. If money is no object or you just don't have time, of course purchase the meat already de-boned. 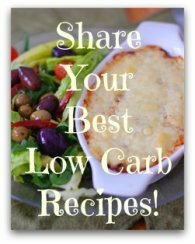 You'll find low carb chicken casseroles on this site to suit your needs. Some here are also ketogenic. Look at the ingredients and the Per Serving nutritional breakdown to ensure you're keeping within your personal carbohydrate tolerance level or keto macros. The chicken casserole list below keeps growing, so check back often. 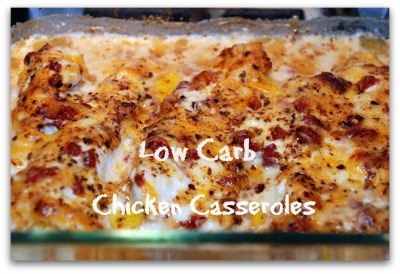 Let's go from the low carb chicken casserole page back to the Home page.